The Show of Hands team. The children at the Show of Hands Promoting Literacy project with Nal’ibali. 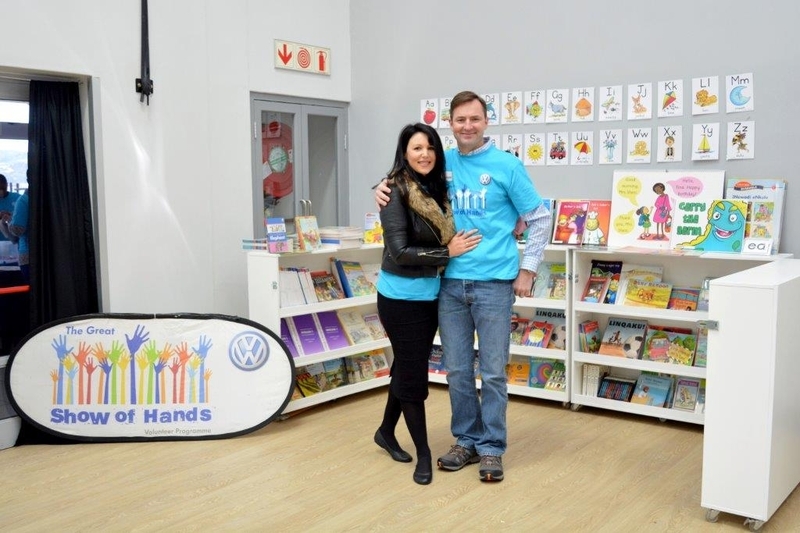 Our MD and his wife standing with some of the R10000 worth of books we gave to the 3 schools. As Volkswagen SA invests millions in Corporate Social Initiatives each year, we like to make sure we get our staff on-board with some of our projects too. Not only do the charities and communities benefit from this, but our staff also gains the feeling of a sense of purpose by being able to help their community. Our Employee Volunteerism is also an efficient way for us to build relationships with our shareholders while giving back at the same time. Research carried out by Deloitte in 2011 found that employees who frequently participate in their company-organised volunteer activities were twice as likely to be very satisfied with the progression of their career and rate their corporate culture as very positive. These staff members are also more likely to be very proud to work for their company. Since it was founded in 2011, thousands of Volkswagen SA staff members have given their time to working on our projects. Show of Hands takes on four projects per year – each with the goal of bettering the lives of those less fortunate than us. 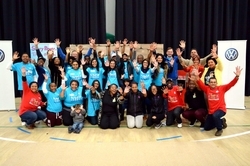 One of our Show of Hands projects was the work we did at Alfonso Arries Primary School. 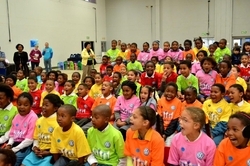 The school is situated in the Greenfields area in Port Elizabeth and it educates grades R to 7. Currently, there are about 2000 learners at this school and only 34 teachers. After seeing the amount of work the school needed done to it, we decided to take a day to work around the school and make as much of a difference as we could. Funded by VW Community Trust, the volunteers painted the library, installed the bookshelves and packed them with books; did gardening such as weeding and planting trees and flowers; and we even cleaned the windows, replaced the burglar bars and replaced damaged door handles. Other projects completed at the school that day included varnishing the outdoor benches, handing over the full rugby team kit and launched the Nal’ibali Reading Club. 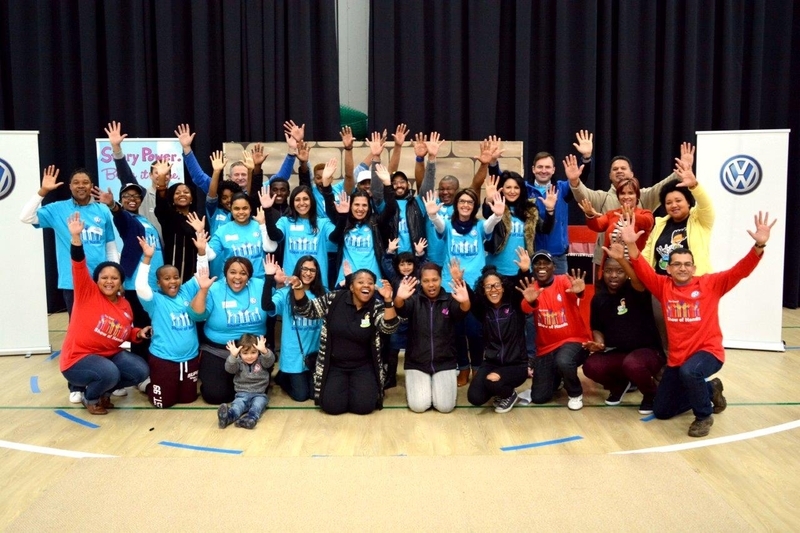 In 2015, Show of Hands took part in a Promoting Literacy project with Nal’ibali, which was aimed at a day spent with young children – teaching them activities and creating awareness about the importance of story reading and telling to children. 50 Volkswagen SA volunteers attended the day’s event. There were some great activities for the children such as eye testing, face painting, making sock puppets, and reading stories to them; and we even had the staff of Nal’ibali tell and demonstrate a story. In the end, we handed each learner an ice cream tub filled with Nal’ibali supplements; plus a reading book, book mark and they made their own sock puppets. The 3 schools also received 3 mobile libraries, each with over R10 000 worth of reading books.